Female Entrepreneur Week is launching on 21st June 2017, and we are looking for bloggers worldwide to take part as Official FEW Bloggers. Over the course of 10 days, female entrepreneurs from across the globe will be coming together virtually to celebrate FEW! 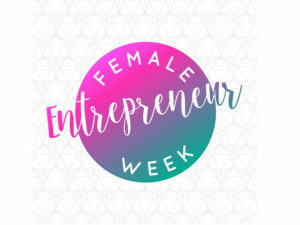 As an Official FEW Blogger, this is your chance to get involved and play an active role in Female Entrepreneur Week – reaching thousands of female entrepreneurs across the globe! A full bloggers pack will be sent to you on accepting this assignment. Help create a buzz before the week starts by posting a blog introducing FEW and showing readers where to sign up (more info below). We are looking for female bloggers who run their own business or have an interest in business/ entrepreneurship. We welcome both established and new bloggers from any field. The chance to play an active role as part of Female Entrepreneur Week – reaching thousands of female entrepreneurs across the globe!